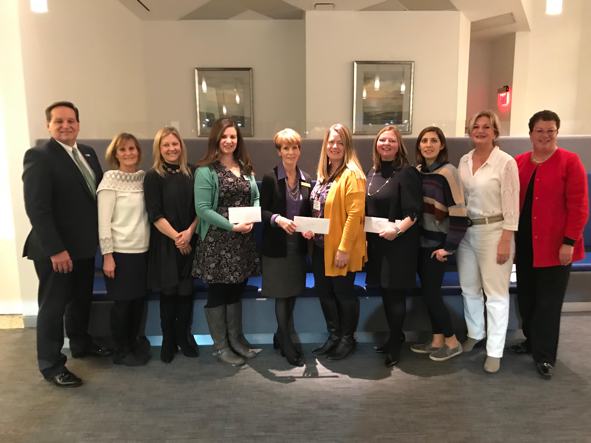 In addition to the traditional annual agency grant distributions, in 2017 MPCF and NJNG partnered to offer a funding opportunity to support agency collaboration. This RFP called “NJNG Accomplish More Together” offers $5,000 grants to agencies that collaborate on a program/project that builds on each agency’s strength to increase service capacity and innovation. This year, three such grants were awarded. CentraState Healthcare and Caregiver Volunteers of Central Jersey – Healthier at Home – Upon discharge from CentraState hospital identified frail adults will receive three months of follow-up support by trained Caregiver volunteers to include weekly home visits, reassuring calls and grocery shopping. Volunteers will receive specialized training by hospital staff. Horizons and Riverview Hospital and Junior League of Monmouth County – Health Education & Readiness – identified students will participate in after school and Saturday health education and job exploration programs. Horizons recruits the students, Junior League provides volunteer mentors and transportation, Riverview provides the site and conducts the educational programs. Society for the Prevention of Teen Suicide (SPTS) and Meridian Health – Mental Health Crisis Toolkits – toolkits developed by SPTS mental health and suicide response professionals will be given to families at Jersey Shore University Medical Center, Bayshore Hospital, and Riverview Hospital emergency rooms by doctors treating adolescents who are being treated for a suicide attempt or ideation. This pilot program has an evaluation component where the intention is to expand statewide.